Vertigo has been defined as the feeling that you or the things around you are spinning about. 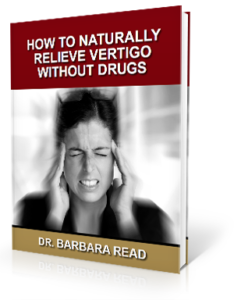 It is a quite common condition, with as many as 69 million Americans having had some type of vestibular condition associated with vertigo in their lifetime. Vertigo can impact your daily routine and life quality as it may cause you to have to sit or lie down until the spinning feeling subsides. By taking a closer look at how the vestibular system helps the body maintain balance, you may begin to better understand how and why vertigo takes place. When we talk about balance, we are talking about the ability to keep your body upright with the center of mass over the body’s base of support. If your balance system is in optimum working order, you will be able to see clearly when moving, know in which direction and at what speed you are moving, know where your body is in relation to the ground, and be able to adjust your posture so as to remain stable and upright with little regard to the conditions around you. If something such as injury, certain drugs, the aging process, or disease causes one of these controls to malfunction, it can impair your sense of balance. Let’s take a closer look at some of the ways the brain gets signals about what is going on within the body. Sensory output: In order for the body to keep its balance, it needs information coming into the brain from three peripheral sources — the eyes, the vestibular organs, and the muscles and joints. These three sources send signals to the brain in the form of nerve impulses that come from nerve endings called sensory receptors. The eyes: The retina has sensory receptors called rods and cones. Rods are more for seeing in low light situations, like at night. On the other hand, cones help you with color vision and fine details. When light hits the rods and cones, impulses are sent to the brain, giving visual cues to help you keep your balance in relation to your environment. Input from muscles and joints: Signals come from skin, joints, and muscles in relation to touch, stretch, or pressure in the surrounding tissues, such as when you feel pressure in the front part of the feet as you lean forward. This, along with other impulses from the legs, arms, and other body parts, help our brain determine where our body is in its environment. Input from the vestibular system: Sensory information dealing with movement, equilibrium, and spatial orientation originates in the inner ear, including the utricle, saccule, and three semicircular canals. When the head moves, one of the canals senses which direction it is moving in. The fluid within the canals, called endolymph, lags behind because of inertia and exerts pressure against the sensory receptor. This sends information to the brain about which canal has been stimulated, and this information is then relayed to the brain. The peripheral sensory organs, spoken of above (the eyes, muscles and joints, and the vestibular system), send information to the cerebellum (the coordination part of the brain) to be sorted out and then joined with already learned information. The cerebellum then provides information about automatic movements already learned through repeated motions and exposure to particular movements. The problem comes in when sensory input from the eyes, muscles and joints, or vestibular system are conflicting. You may have experienced this when you are sitting in a parked car, looking at the vehicle next to you. If it begins to move, it may create an optical illusion making you feel as if you are moving instead. Your body reacts to this by causing you to look away and focus on something you know is stationary, such as the roadway. In this way, you can regain control of what is really happening in your environment. But if something is interfering with the signals going to your brain, you can end up with vertigo. 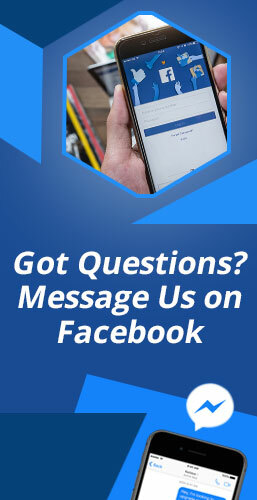 So, what is causing the interference? The top bone of the neck is called the atlas, or C1 vertebra. It was designed to protect the delicate brainstem. The atlas is also the bone allowing the head to move in many directions. This makes it extremely susceptible to misaligning from either a blow to the head or neck or wear and tear. If a misalignment occurs in this bone, it puts undue pressure on the brainstem and can be the reason the brainstem is sending improper signals to the brain. Upper cervical chiropractors are specially trained to find these types of misalignments and then work with our patients to correct them through a gentle method. We are not required to pop or crack the neck to get positive results. Many see relief from or an end to their vertigo after just a few adjustments.